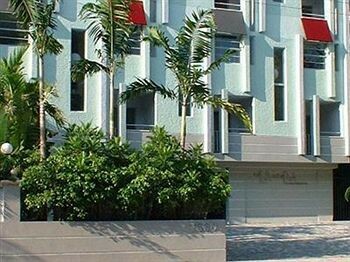 Property Location Located in North Miami, The Lofts on the Park is convenient to Causeway Square and Museum of Contemporary Art. This condo is within close proximity of Mall at 163rd Street and Oleta River State Park.Rooms Make yourself at home in one of the air-conditioned rooms featuring kitchens with full-sized refrigerators/freezers and microwaves. Rooms have private balconies. Complimentary wireless Internet access keeps you connected, and cable programming is available for your entertainment. Conveniences include phones, as well as coffee/tea makers and irons/ironing boards.Rec, Spa, Premium Amenities Be sure to enjoy recreational amenities including an outdoor pool and a 24-hour fitness center. This condo also features complimentary wireless Internet access and tour/ticket assistance.Business, Other Amenities Featured amenities include a business center and laundry facilities. Free self parking is available onsite.